A tree is a symbol of hope, of strength, of beauty, of the future. 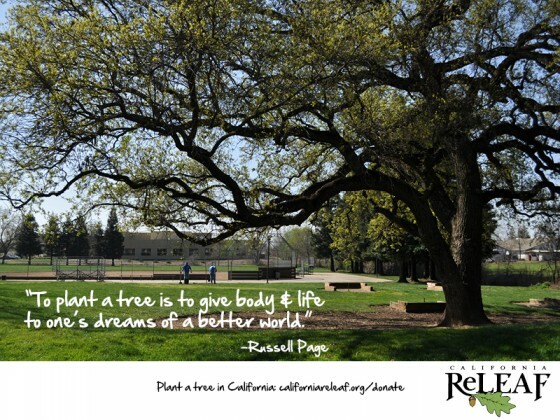 What better way to honor or remember someone or to celebrate a special event than by supporting urban forestry in California. You can give a gift to California ReLeaf in memory of a loved one or in honor of a child’s birth or adoption, birthday, wedding, anniversary, or any other occasion. To make a memorial or honorarium donation, download this form and send it to California ReLeaf via mail or email. Notification of your donation will be sent to whomever you designate.